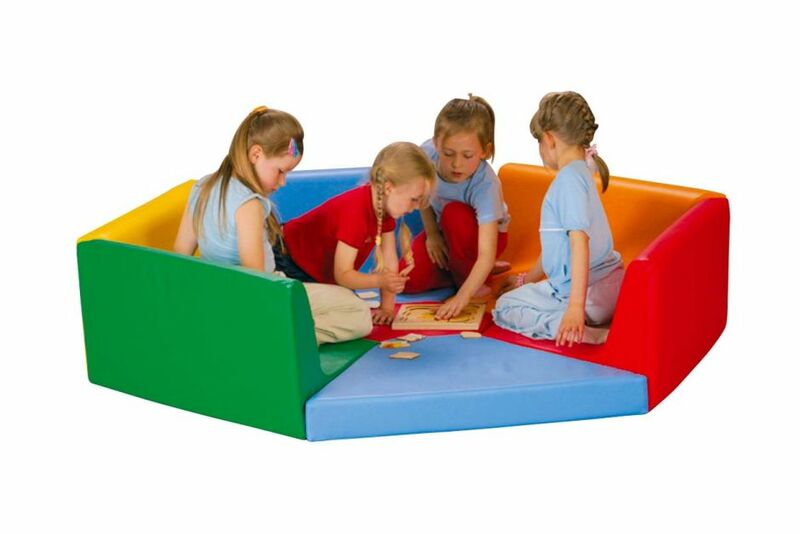 Hexagonal shaped soft play set that is perfect for young children in nursery or primary schools. made up of 7 different colourful shapes, these can be placed together to form a full play zone. Delivered free of charge to any UK mainland address as standard.